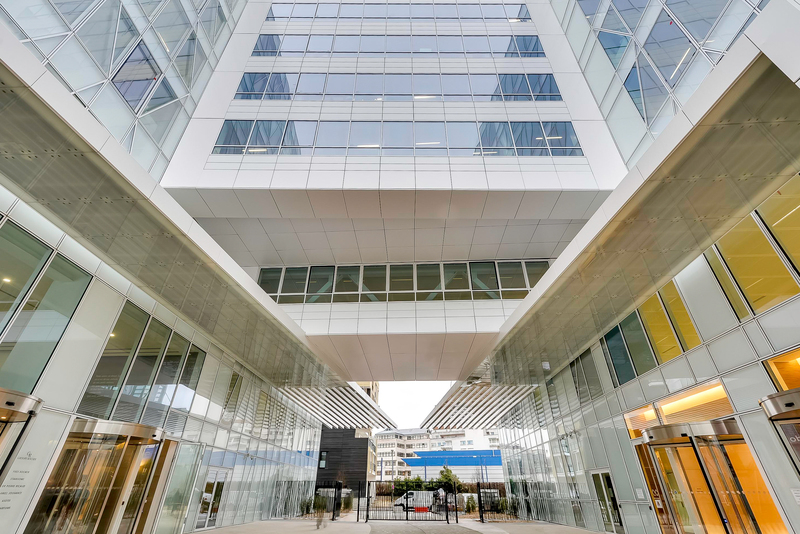 Designed by architect Jean-Paul Viguier and delivered at the end of 2014, Noda is one of the two independent buildings making up the Zenora property complex, located in the town of Issy-les-Moulineaux. The building is part of an economic pole with nearly 1,000 companies, more than half of which are related to communication. Immediate neighbors of Noda, Credit Agricole and the head office of BNP Paribas Real Estate, are located there, as are Coca Cola, Sodexo and nearly ten television channels.